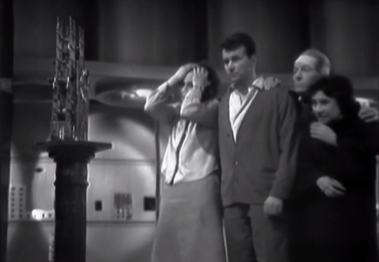 Barbara, Ian, the Doctor and Susan, observing the broken clock inside the TARDIS. 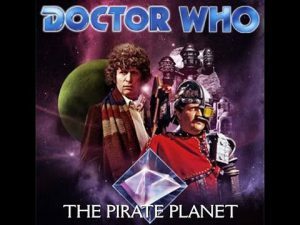 Planet of Giants was the third story in season one of Doctor Who. It features the first Doctor alongside Susan, Barbara, and Ian. It is a short story with only two episodes and it occurs entirely inside the Tardis. This story was made with minimal budget to fill out season one with two more episodes. This story is another one written by David Whitaker. I loved the fact that this story begins the development of the Tardis as a thoughtful, sentient being that can communicate with its crew. The first episode in this story has a very horror movie feel to it. Distrust builds among the Tardis team, Susan attacks people with scissors, and things keep mysteriously happening without explanation. As the episode progresses the crew grows increasingly paranoid and beings to turn on reach other. The Doctor begins to blame Susan and Ian for everything that is going wrong – Susan does a fantastic job of standing up for herself and angrily highlights how foolish that idea is, and how she and Ian have repeatedly shown their commitment to the Doctor. The accusing continues and Barbara continues to convince the Doctor that he is wrong. 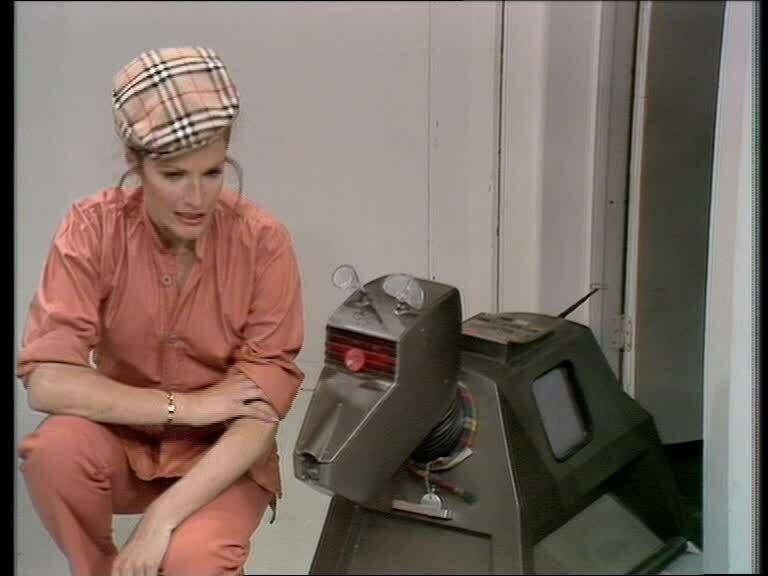 I really enjoyed that it was Barbara who finally realized that the Tardis is trying to communicate them, and that many of the odd things going on are actually clues to show what the real problem is. The camera work and light/dark contrast around the Doctor’s monologue explaining the problem was really striking, however the actual ‘fixing’ of the problem – a broken spring – felt fairly anti-climatic to me. 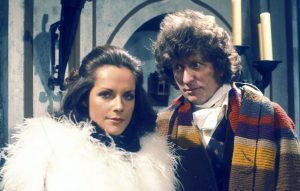 The Doctor delivers a satisfactory apology to Ian, but is apology to Barbara is pretty horrible. It’s a best a ‘well, actually’ style explanation and I’m glad Barbara walked away from the Doctor. 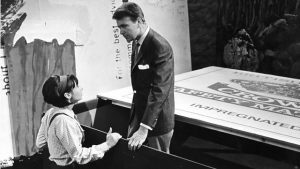 His second apology wasn’t much better – the Doctor conludes that without his accusing Barbara she would never have been motivated enough to solve the problem. My reaction to this was pretty much “UGH.” His apology was followed by a condescending remark about needing to take good care of her. I know this aired in 1964, but some of the male/female power dynamics in this episode have not aged well. Overall, this is a solid two part story that has a surprising amount of depth and is well done in-spite of the budget limitations. Susan, Ian, and a matchbox in Planet of Giants. Planet of Giants was the first story in season two of Doctor Who. It features the first Doctor alongside Susan, Barbara, and Ian. It is a shorter story with only three episodes and it’s basic premise revolves around the Tardis and the Tardis crew being miniaturized and working to regain the normal size. 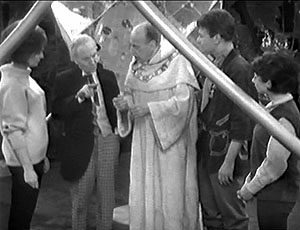 I’ve been watching a lot of Troughton era Doctor Who recently and what struck me most about this story was how different the Tardis team feels under the first Doctor. The story is also dived into team perspectives with the Tardis crew being separated into groups of two for the bulk of the story. This story hinges on the Tardis malfunctioning during materialization. Following the malfunction the Tardis team begin to explore outside and come to see giant ants, giant worms, and signage. Both the Doctor and Susan realize independently from each other, that they have all been shrunk to the size of an inch. Ian expresses his usual disbelief with this conclusion. We learn more about the ‘bigs’ in this episode. There’s a subplot all about the development of a new insecticide which kills every type of insect imaginable. I found this subplot a bit on the dry side, though I did enjoy the hint of environmental activism that is woven into the story. This episode starts with the Doctor and Susan being trapped in a drain pipe and thinking quickly to avoid drowning. I think my favourite part of this episode is watching the actors transverse ridiculously oversize props. Climbing down a huge sink chain, crossing a large notepad, and using an oversize match is pretty amusing to watch. Overall this was an okay story, but not something I will rush to rewatch.